Milky Way and Andromeda to collide in 4.5 billion years, not 3.9. Gaia telescope had the largest focal plane CCDs ever launched into space. Findings come from the second data dump from the Gaia mission. More dumps are expected. For as far back as Earth’s history goes, man has always been fascinated by the stars. Going from the rudimentary start charts of the ancient Greeks to the rich catalogue we have today, the study of the space that surrounds Earth sure has come far. In this regard, Astronomers have predicted for the longest time that the Milky Way’s closest neighbour, the Andromeda Galaxy, was one day going to collide with us. However, there is some good news. The European Space Agency (ESA) on February 7 shared that the Andromeda Galaxy, which was previously thought to collide with the Milky Way in about 3.9 billion years, will now do so in about 4.5 billion years. The new estimate comes courtesy of Gaia, a new astrometry project. The role of Gaia is to track and acquire data points on starts in the Milky Way, Andromeda and Triangulum galaxies. In its 5-year mission span, Gaia will be able to create a complete catalogue of the 70 billion+ stars. 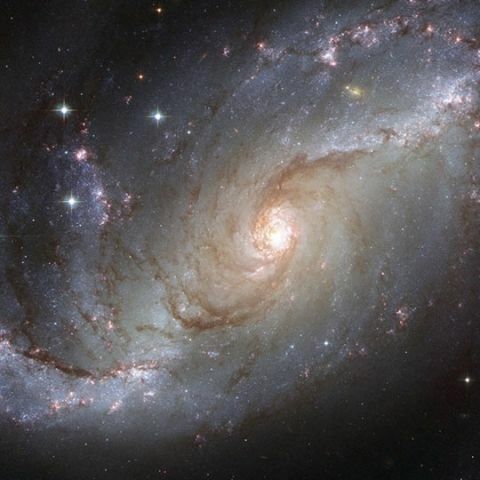 By tracking the movement of the stars across the sky, the data generated by the Gaia project should help astronomers build a more cohesive map not just the moment of our, but also our neighbouring galaxies. The ultimate goal of the mission is to build the most comprehensive 3D map of the stars in the nearby universe. In a statement, the ESA explained “Previous studies of the Local Group have combined observations from telescopes including the NASA/ESA Hubble Space Telescope and the ground-based Very Long Baseline Array to figure out how the orbits of Andromeda and Triangulum have changed over time. The two disk-shaped spiral galaxies are located between 2.5 and 3 million light-years from us and are close enough to one another that they may be interacting. Two possibilities emerged: either Triangulum is on an incredibly long six-billion-year orbit around Andromeda but has already fallen into it in the past, or it is currently on its very first infall. Each scenario reflects a different orbital path, and thus a different formation history and future for each galaxy.” Gaia will be able to provide the relevant data, which will help astronomers decipher not just how the galaxies move through space, but also how each of them rotates around its own spin axis. The findings come from the second data dump from the Gaia mission. Besides putting a more accurate timeline on the impending collision the Gaia mission also revealed the existence of stars flying between galaxies and the existence of a massive ghost galaxy just on the outskirts of the Milky Way. The Gaia mission was launched in 2013 and is actually not one, but two telescopes. It uses three curved and three flat mirrors to focus and fold light over a total area of 35meters before it hits the detectors onboard. Gaia’s Charged Coupled Devices or CCDs offer a billion pixels for recording data, with each pixel having a pitch of 10 μm. The primary focal plane of Gaia has 106 CCDs arranged in 7 rows and 17 columns, with each offering a resolution of 4500x1996. Data from the Gaia mission is expected to be studied and published well into the 2020s. PS: You may come across multiple reports on the web stating the reverse, and saying that the collision is now slated to happen earlier than expected. Pay no mind to those poorly researched reports.